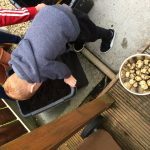 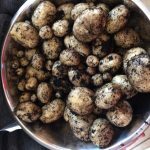 Miller took part in our initiative and grew his seed potatoes in the big ACC black box. 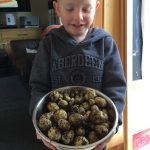 As you see, he got a load of tatties for all his hard work, and has told his grannie that he is giving some of them back to us. 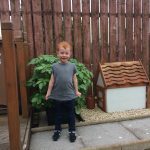 Well done Miller!